Rhododendron oreodoxa Franch. var. fargesii (Franch.) D.F.Chamb. isotype of Rhododendron fargesii Franch. 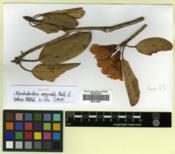 holotype of Rhododendron erubescens Hutch. Rhododendron aff. oreodoxa Franch. var. fargesii (Franch.) D.F.Chamb. isotype of Rhododendron reginaldii Balf.f. 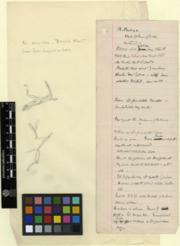 holotype of Rhododendron reginaldii Balf.f.